You've come to the right place! Steve Wojtas offers a full suite of voice-over services, from a one minute explainer to a 400 page audiobook and everything in between, utilizing his professional recording studio in Chicago, IL. Steve provides the right sound, tone, and style you're looking for to bring your message to life. Steve Wojtas is classically trained and holds a Masters degree in performance. He is used to reading characters on a page and bringing them to life. He can do the same for your project. It takes an artist many years to paint without showing the brush strokes, and that's exactly what Steve brings to the table. His experience and skill with all sorts of texts throughout the years let him lift and bring the life the message behind the words, removing the barrier between medium and message. "Wow, great read, communication, and fast. Whole package!" "By far the best actor that auditioned. On top of that, easy to work with, personable, and took direction well. Will be working with Steve again soon! " -Alvan Monje , Unicycle Mobile Inc.
"Steve is an amazing voice talent. Exactly what I needed to complete my project. Thanks Steve!" "Steve knocked it out of the park for Google! Highly recommend him!" "Love the voice for relaxed and casual authenticity! Quick turnaround also." "Excellent. Working with Steve is a pleasure start to finish. Very receptive to suggestion and direction." 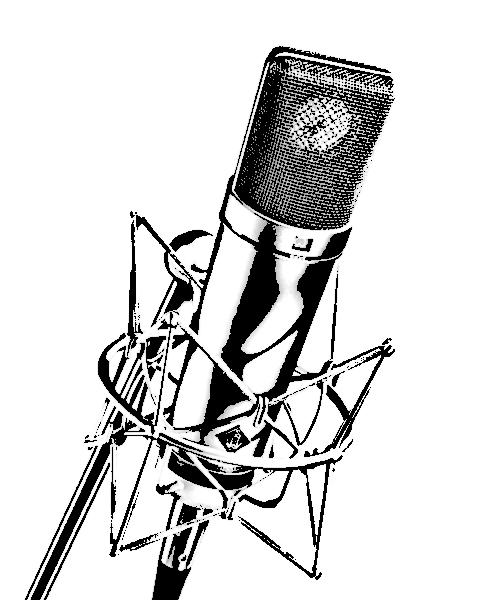 Two of the best and most ubiquitous mics in the industry, capturing a quality read is a breeze. The U 87 Ai can add warmth to an audiobook narration, and the 416 can add a crisp punch to cut through any music in a commercial. The right tools help the right voice create the right sound for your project.